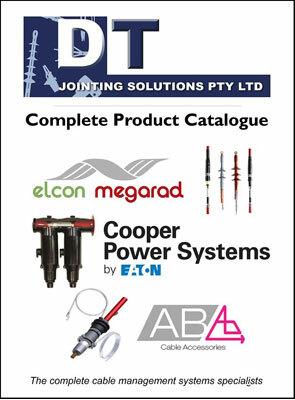 DTJS refers to DT Jointing Solutions Pty Ltd (ABN 30 571 974 979) with the head office at 18 Zakwell Court, Coolaroo, Victoria 3048. Regardless of whether any such loss arises directly or indirectly. These DTJS terms and conditions of business apply to all sales, deliveries and any other services of DTJS. Any contrary conditions of the customer / purchaser are not in any way binding upon DTJS, irrespective of whether the order is based upon them directly or if the customer / purchaser refer to them on any forms or in other documentation. We reserve the right to amend these terms and conditions from time to time. Amendments will be effective immediately upon notification on our website (www.dtjointingsolutions.com.au) and changes will be included with every quote. Whilst DTJS places great emphasis on the fast and reliable delivery of customer orders, please be aware that delivery times are estimates only and DTJS are not liable for any delays. DTJS reserves the right to charge for freight / delivery of the products at any time, notwithstanding that DTJS may not have done so in the past. Part deliveries are permitted at DTJS discretion. Unless the contract specifies the means by which products are to be transported, DTJS will always select the means of transport. If the customer fails to take delivery of the goods, then in addition to all other rights and remedies of DTJS, the customer shall be liable for all loss and damage (including consequential loss and damage) suffered or incurred by DTJS as a result thereof. Any delay in the delivery of the product(s) shall not provide cause for the customer to terminate the purchase order / delivery and the customer shall not be deemed exempt from paying for the products by reason of any such delay. In the event of force majeure or any other exceptional happening for which DTJS is not responsible (including strike action) which makes delivery impossible or considerably more difficult, DTJS may delay, restrict or suspend the deliveries for the duration or at withdraw from the agreement. This clause shall survive termination or expiry of the contract. DTJS has the option of rejecting any customer purchase order at its discretion. A purchase order is issued to DTJS in writing only, including electronically, fax and mail. It is only upon the written confirmation from DTJS after receiving a purchase order that a contract between the customer and DTJS is made. Any alterations in quantity, quality, specification and/or conditions for supply of goods and/or services are not binding on DTJS unless confirmed in writing by DTJS. Prices are quoted AUD, Excluding GST, Ex Warehouse (Incoterms 2000) unless otherwise specified. Whereby DTJS offer a FIS scenario, refer to 3d. Unless DTJS states otherwise, the price of the product is the price quoted (if any) and the price appearing on the invoice, whichever is higher. DTJS state validity date on all quotations provided. Where this has been omitted unintentionally, 3 months is the set quotation validity date. Standard packaging is factored into the DTJS pricing structure. If special or export packaging is requested, extra cost may be initiated by DTJS. Irrespective of any other conditions of the sales contract, in the event of unforeseeable changes to the market which were not evident at the time in which DTJS accepted the purchase order, which will result in hardship for DTJS if the sales contract remained unchanged, the customer agrees to open discussions with DTJS to determine changes to the sales contract which will enable both parties to proceed in a mutually financially sensible manner. DTJS shall invoice upon dispatch date (warehouse Melbourne) of the products and payment shall be made by the customer within 30 days of the date of the invoice. DTJS reserves the right to require payment of a deposit or full payment prior to delivery. At DTJS discretion. Where goods are supplied to a customer in installments to the customer by DTJS, progressive invoices will be issued at DTJS discretion. DTJS may request a bank guarantee from the customer. The bank guarantee terms will be determined by DTJS. DTJS is authorised to make enquiries as to the credit worthiness of any customer who has applied for a credit application. All invoices are due and payable in full by the 30th day after the date of invoice. Payment by any cheque is not determined to have been paid until the funds have cleared. Unless otherwise stated, all payments must be in Australian dollars (AUD). Returned goods to be subject to 20% restocking fee at the discretion of DTJS. DTJS may choose to charge for the recovery of costs incurred for the collection of payment (such as but not limited to collection agency fees and legal costs), bank interest at the current overdraft rate and cheque dishonor fees. A dishonored cheque will result in an additional fee to the customer of $45.00 (exclusive of GST). The customer is not entitled to withhold payment of any money in respect of any set off or claim the customer might have against DTJS. The customer may not at any stage withhold payment in respect to any set off the customer claims against DTJS. The goods shall remain the sole and absolute property of DTJS as legal and equitable owner and the customer shall hold the goods as bailee only until such time as the customer has paid the full invoice value. The customer is liable to DTJS in regards to any loss or damage to the goods during this bailment period. The risk in products passes to the customer upon acceptance of the delivery of said products. The customer may sell the products in the ordinary course of its business but only as fiduciary agent of DTJS. The customer must not represent to any third party that the buyer is acting in any capacity for or on behalf of DTJS and the customer has no authority to bind DTJS to any contract or otherwise assume any liability for or on behalf of DTJS. in a separate bank account until all liability to DTJS is discharged. DTJS may at its sole discretion trace all proceeds received by the customer through the associated bank account. II. Cease delivery of all outstanding product. If the customer is late in making a payment, either in part or whole, all the payment obligations to DTJS including all other contracts shall be due for payment immediately. If a customer fails to pay or is late with a payment, DTJS without prejudice to its other statutory and contractual rights may decline in part or in whole to make any further deliveries. This may apply to all outstanding contracts for this customer. DTJS shall not be liable for any claim, loss, damage or expense suffered or incurred by the customer in the event that deliveries are suspended or discontinued permanently. All product is to be returned to DTJS in the event of a default at the expense of the customer within 7 days. Neither DTJS nor the customer shall be liable in damages or have the right to terminate this agreement for any delay or default in performing hereunder if such delay or default is caused by conditions beyond its control including but not limited to acts of God, government restrictions (including the denial or cancellation of any export of other necessary license), wars, insurrections and/or any other cause beyond the reasonable control of the party whose performance is affected (including mechanical, electronic, or communications failure). In relation to delivery, as per 3a, DTJS is not and cannot be held liable for any loss or damage caused by a delay in delivery. Defective products will be replaced provided they are returned to DTJS within 7 days of being identified. DTJS shall be liable for no more than 25% of the value of the order supplied b y DTJS. The customer indemnifies DTJS against all costs, liability and loss for any act of negligence by the customer. DTJS has no liability to the customer in respect to consequential loss whatsoever. Replacement of the product is the absolute limit of DTJS liability. Prior consent is needed prior to returning product to DTJS. Any warranty / defect product issues need to be notified within 12 months of the invoice date. Defective product then needs to be dispatched to DTJS within 7 days of notification. No changes may be made to any product kit composition or instructions without the express written approval of DTJS. Failure to seek said written approval, voids all warranty claims immediately. The laws governing these Terms and Conditions in the Law of the State of Victoria. The United Nations Convention on Contracts for the International Sale of Goods does not apply to the purchase orders referred to in these Terms and Conditions. These Terms and Conditions take precedence over any customer Terms and Conditions. If any provision in these Terms and Conditions is illegal, void or unforeseeable, the provision is severed and the remaining provisions in these Terms and Conditions remain in force. DTJS may amend and alter these Terms and Conditions at its discretion. The latest version will be available on the company website (www.dtjointingsoultions.com.au). This latest will supersede all previous versions. Failure of DTJS to enforce any of these Terms and Conditions cannot be construed as a waiver of the Terms and Conditions or DTJS rights. The customer must keep all information provided to it by DTJS secret and refrain from disclosing same to third parties.